Whether it’s for road racing and triathlon or mountain biking, Deda Elementi has a reputation for making some of the best handlebars in the business. These are regarded as top handlebars for professionals and the serious recreational rider alike made from the latest in carbon fiber technology. Here, we look at some of the handlebars in the Deda Elementi stable. Looking for the right handlebar stems and handlebars for your bike. Ritchey pro handlebars and stems are used by professional road riders the world over, and they have a great to choose from no matter what your requirements. Here we look at some of the Ritchey handlebars and stems available for your bike. If you’re serious about your road riding, then you’ll want the best components on your bike to keep the weight down and the ride smooth and efficient. When it comes to fitting the best handlebars to your road bike, you can’t go past Deda Newton handlebars. Deda handlebars have a great reputation among cyclists and they have an extensive range to suit most riders’ needs. Deda Newton handlebars offer a good rigid handlebar while also weighing less than other comparable top handlebars. Deda are known among many riders as having some of the best handlebars available in the business. 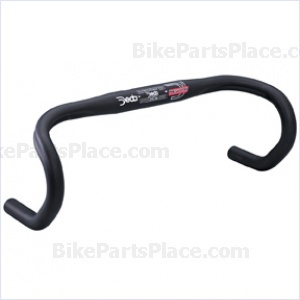 They make a wide variety of top handlebars for both road riders and those riders who like to get off the beaten track. Here we look at some of the Deda handlebars that everyone would love to have. You are currently browsing the archives for the Bike Handlebars category.